When it comes to business networking, you never know who people know. One of the important keys to being successful at building a powerful personal network is diversity. In running a large business networking organization for the last two decades, I often speak to people who tell me they want to network exclusively with other business professionals who work with clients in a similar socio-economic target market, in other words – network with business professionals with similar clients. Although it is good to include these people in your personal network, any attempt to network with them exclusively would be a tremendous mistake. It is human nature to congregate with people that are very much like us. People tend to cluster together based on education, age, race, professional status, etc.. The bottom line is that we tend to hang out with people who have similar experiences or perspectives as ours. Most of our friends and associates are often friends and associates with each other as well. The problem with this is that when we surround ourselves with people who have similar contacts it may be difficult to make connections with new people or companies with whom we desire to do business. A diverse personal network enables you to increase the possibility of including connectors or “linchpins” in your network. Linchpins are people who in some way cross over between two or more clusters or groups of individuals. In effect, they have overlapping interests or contacts that allow them to link groups of people together easily. When it comes to networking, diversity is key because it allows us to locate these connectors, or linchpins between clusters of people. Connectors are the gateways to other people. They create shortcuts across groups. The best way to increase the number of linchpins in your network is to develop a diverse network – not a homogeneous one. 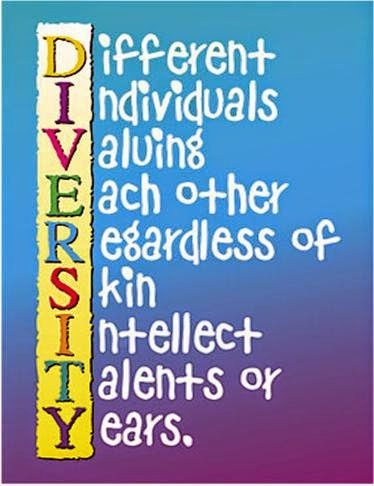 Having developed over 6,000 networking groups in more than 50 countries around the world, I can categorically state that the strongest networking groups I’ve seen are generally ones that are diverse in many, many ways. The more diverse the network, the more likely it will include overlapping connectors or linchpins that link people together in ways they would have never imagined. I believe that one of the problems in understanding this concept is a somewhat built-in bias that many people have about networking with individuals that are outside their normal frame of reference. Let me give you an example. A good friend of mine in Boston, Patti Salvucci, recently told me an amazing story. Patti runs dozens of networking groups for BNI in the Boston area. She told me about one of the groups she was visiting recently that met in a private meeting room at Fenway Park. She said that she arrived a little early to the meeting and noticed an older gentleman setting up coffee mugs in preparation for the meeting. Well, anyone that knows Patti knows that she is a master networker and so she struck up a conversation with the man while waiting for members to arrive. In talking to him, she was really taken by the amazing tenor of his voice. She mentioned to him that he had an incredible voice and asked what he did before this. The gentleman informed her that he used to be a commentator for CNN! He went on to tell her that in his later years, he wanted to work in a less hectic job as well as live closer to his daughter. He decided to take on the job of managing the owner’s suite at Fenway Park in Boston because it gave him an opportunity to be close to his family while having a less hectic career later in life. Patti asked him about some of the people that he met during his time in broadcasting. He shared many great stories with her including an interview that he had done with JKF a week before he was assassinated. He also talked about meeting Martin Luther King and Nelson Mandela during his career. It was an interesting conversation that she genuinely enjoyed. Later when the meeting was in full swing, one of the regular members, Don, publicly mentioned that he would really like to do a radio talk show someday and was looking for some contacts that could help him pursue this dream. After the meeting, Patti asked Don… “Do you see that guy over there (pointing to the ex-CNN commentator)? Have you seen him before?” “Yea,” said Don, “he’s the guy who sets up the coffee for our meeting.” Patti said to Don, “did you know that he used to be a broadcaster for CNN? Don said, “Oh my God, I had no idea!! !” Patti suggested that Don introduce himself and learn a little about the man he’s seen every week for the last several months because he may very well be able to make a connection for him in the broadcasting industry. The irony in this story is that he had seen the man on many occasions but had not struck up a conversation with him because he felt that they had little, if anything, in common. The truth is, when it comes to networking – not having a lot in common with someone may mean that they can be a connector for you to a whole world of people that you might not otherwise be able to meet. Some of the strongest networking groups I’ve seen over the last two decades are ones that are diverse in many ways. They have a good mix of members based not only on race and gender, but also based on profession, age, education, and experience. The more diverse your network the more likely you are to make overlapping linkages between clusters of people. The more linkages you can make between clusters of people the stronger your network can be. If you wish to build a powerful personal network – branch out. Build a diverse network of professional contacts that include people that don’t look like you, sound like you, speak like you, or have your background, education, or history. The only thing that they should have in common with you and the other people in your network – is that they should be really good at what they do. Create a personal network like that, and you’ll have a network that can help you succeed at anything. While there may be many things that can divide us, there are in fact some things that can unite us. Different countries and cultures, different languages and religions, different people and places, different races and accents, we are all united by one thing: we all speak the language of referrals. And that, my friends, transcends our cultural differences.